We can make two types of Bar Mats:1) Custom Rubber Bar Mat, Moulded.Drop Moulded Soft PVC Rubber Bar Runner Mats, with customized logo, design, size and color. 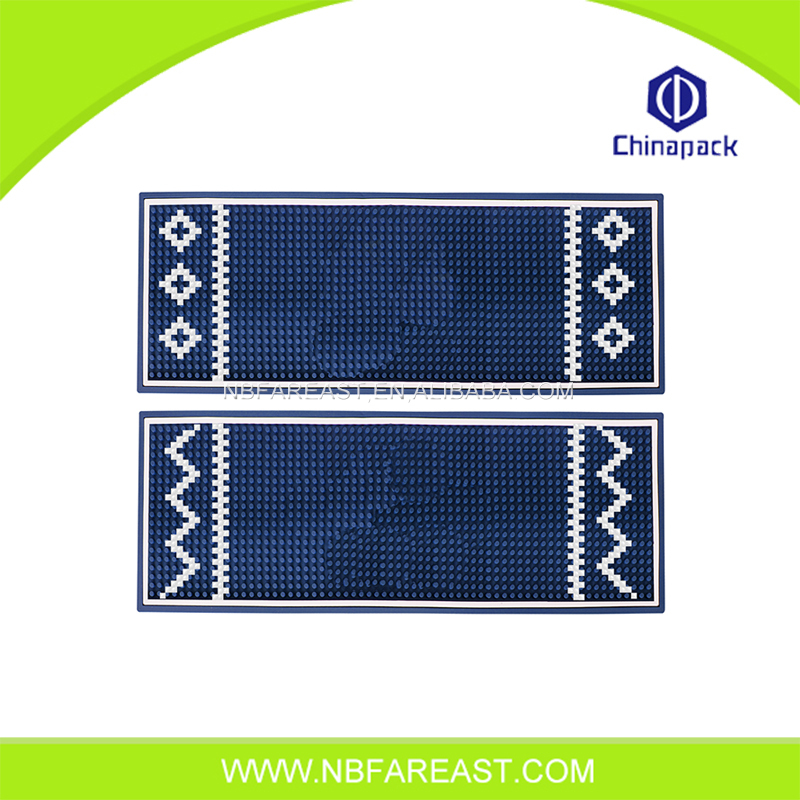 Eco friendly Grade A material, protect bar surface, protect your health.2) PVC Carpets Bar Mats, Sublimation Printed.Polyester Needle Punch or non woven carpet, with sublimated design, PVC backing. Our rubber bar mats are able to provide excellent anti-fatigue comfort. Rubber is gifted with a natural suppleness that supports the human body and provides extra cushioning on unforgiving surfaces. Continue Reading Below. 6. High quality with suitable price. Looking for ideal Samples Available Rubber Bar Mat Manufacturer & supplier ? We have a wide selection at great prices to help you get creative. All the Rubber Bar Mat Custom are quality guaranteed. We are China Origin Factory of Bar Mat Custom. If you have any question, please feel free to contact us.